Students in grades 4K-8 attending the Dec. 8 Fantastic Friday will visit Breaker Bay Waterpark. The next Fantastic Friday on Dec. 14 features a trip to Breaker Bay Waterpark at Blue Harbor Resort. 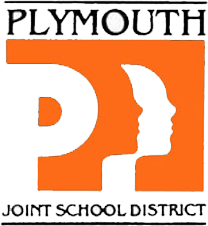 Fantastic Fridays, sponsored by Plymouth School District Community Education & Recreation, offer enriching activities on no-school days. Supervision is provided by child-care workers and Youth Center staff, but the events are open to all area students in 4K through 8th grade. Breaker Bay, located inside Blue Harbor Resort in Sheboygan, offers 54,000 square feet of fun, including two body slides, two tube slides, a lily pad hopper, an activity pool, a lazy river, and a play area for younger children. The Fantastic Friday fee is $30 until Dec. 7, then $45; no refunds will be provided. Participants should be dropped off by 9 a.m. at Horizon Elementary School, 411 S. Highland Ave. and are expected to return there around 3:30 p.m., but care is available from 6 a.m. to 6 p.m. at no additional charge. Students should bring a lunch with a beverage, as well as a swimsuit and a towel. Breaker Bay has life jackets available, but students may bring their own. • Register online to pay with a credit card. • Print a Fantastic Fridays Registration Form to mail or bring to Community Ed & Rec, 125 Highland Ave., Plymouth WI 53073. • View or download the complete Fall 2018 Course Listings.